These are the eight best bottles of bourbon in the world as determined by the International Wine & Spirit Competition for the best bourbon category. NEW YORK (TheStreet) -- We in this great nation have been distilling bourbon since the 18th century, but the name never stuck until the 1820's. The delicious liquor always calls to mind the South, specifically Kentucky, where approximately 95% of all American bourbon was produced as of 2013. In fact, the 4.9 million barrels of bourbon aging in the state outnumber the human beings that populate it. Bourbon may be primarily a Kentucky product, but one of the most famous drinkers of the beverage was a Hoboken, N.J. native named Frank Sinatra. The Rat Pack member loved bourbon, and Frank Sinatra Jr. told Men's Journal that his father frequently had a tumbler of Jack Daniels in his hand. "Jack was my father's drink of choice," Sinatra Jr. said. "My father was the kind of man who liked to hang out. He'd get with his cronies and sit up and sip all night. It helped him keep going." Sinatra's love for bourbon even extended through his death. The singer and actor was buried with a bottle of bourbon, along with a pack of cigarettes, a lighter and a roll of dimes so he could phone his loved ones from the afterlife. But not all bourbon is created equally. Some bottles represent the best of the best, and the 2014 International Wine & Spirit Competition sorted through the various brands to determine the best bourbon in the world. We've highlighted some of their selections that received the Gold Outstanding and Gold designations for you to view and included judges' commentary on each drink. 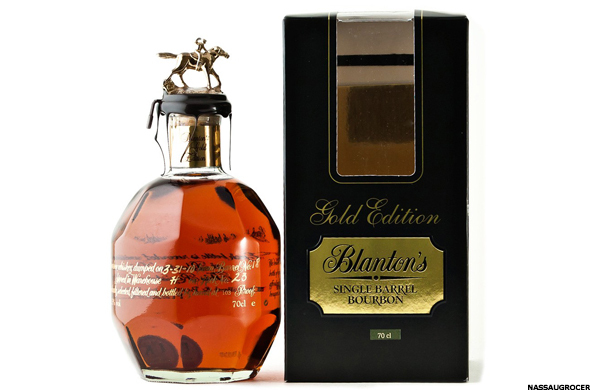 Blanton website says the company created this "Gold Outstanding" award winner "for discerning connoisseurs who appreciate exceptional smoothness and clean finish in their bourbon whiskey." 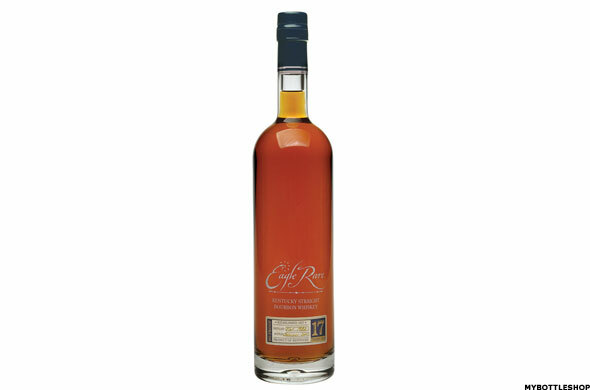 This bourbon is only available internationally as of this writing, but it is also available in some duty free shops such as those found in airports. IWSC Commentary: Very attractive fruity nose with ripe dark berries, apricot and some tropical fruits. Some herbal hints and waft of floral perfume. Rich and full in the mouth with massive wave of spice and ripe fruits. Beautiful balance and fine texture. Lovely long finish where stone fruits play a closing part. 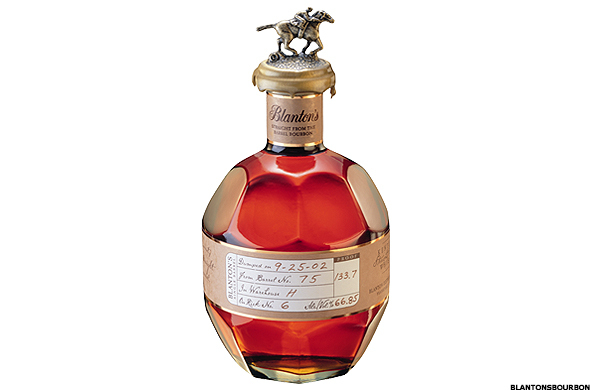 Blanton's scored yet another "Gold Outstanding" award in 2014 with its Straight from the Barrel offering, which features varying alcohol by volume in each bottle. IWSC Commentary: Generous amount of citrus in the nose with mandarin very prominent along with lemon and orange rind. Some hints of ripe tropical fruit especially mango and touch of passion fruit. Well judged oak. Rich and full in the mouth with great show of sweet spice including vanilla and cinnamon. Oak is ever present. Smooth flow and fine texture. Finish has full fruit and again shows fine oak. 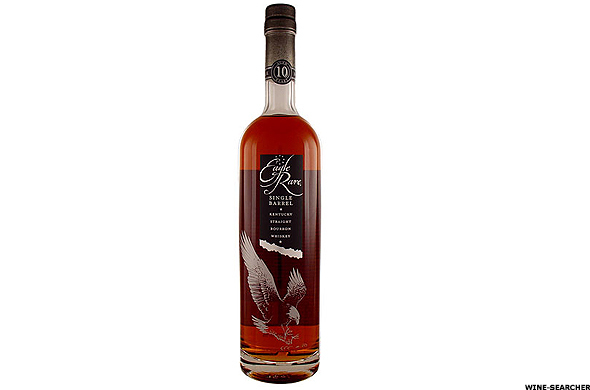 This Eagle Rare 10YO bourbon took home a gold medal at the 2012 IWSC but moved up one category to "Gold Outstanding" in 2014. IWSC Commentary: Opening aromas conjure up all manner of nut related characters including pecan pie and roasted almond. Followed by soft brown sugar and stewed apples. Complexity develops in form of ripe berries, sweet tobacco and lots of citrus. Big full mouth loaded with flavor where citrus and nuts vie for dominance. Good balance between fruit and oak. Long, complex and pleasing finish. 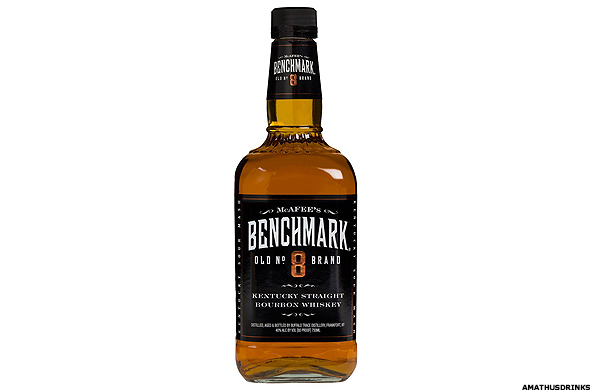 This "Gold" award winner comes from the Buffalo Trace Distillery, which has several entries on this list. The Benchmark is "named after the McAfee brothers, who surveyed a site just north of Frankfort in the late 1700s," according to the company's site. IWSC Commentary: Amazing nose piled with fresh stone fruit where ripe plums dominate followed by very attractive nuttiness. Despite the power packed nose the entry into the mouth is delicate and dainty. With time the power builds and the full flavor is released in a very satisfying manner. Beautifully balanced and strong, smooth flow. Caramel and toffee are very evident in long, silky finish. 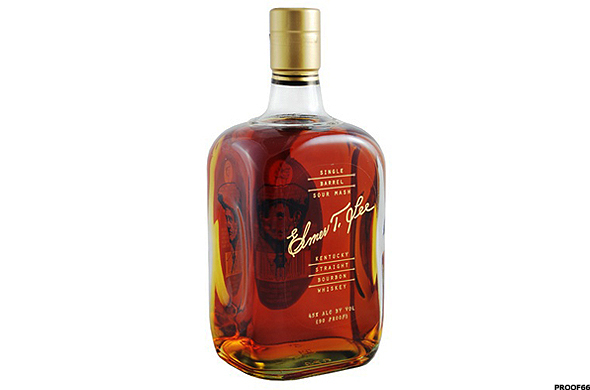 The Buffalo Trace Distillery also creates the "Gold" award-winning Elmer T. Lee bourbon, named after the master distiller emeritus. IWSC Commentary: Big full nose with butterscotch and honey followed by ripe cherries, banana and coconut. Gorgeous entry with super smooth flow with spice and honey flavors exploding across the palate. Great oak support and complex combination of character. Satin smooth with nutty and toffee notes leading into long, fine finish. 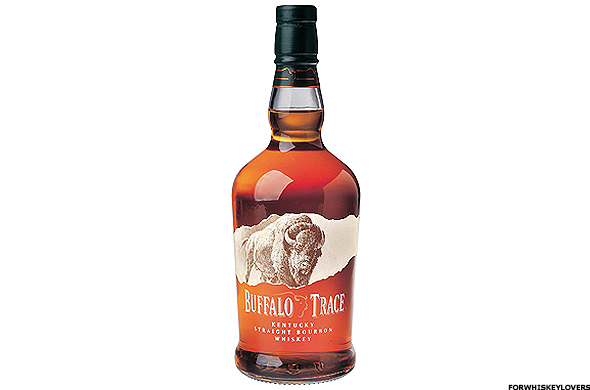 The Buffalo Trace Distillery has been producing bourbon for more than 200 years. The website states this "Gold" award winner is in "tribute to the mighty buffalo and the rugged, independent spirit of the pioneers who followed them westward." IWSC Commentary: Rich, fruity, elegant and delicate. Very attractive and enticing nose that the palate reciprocates. On the palate, stewed fruit, toasted nuts, creme brulee. Very well balanced. Colonel Edmund Hayes Taylor Jr. began distilling at the end of the Civil War when he bought the O.F.C. Distillery. 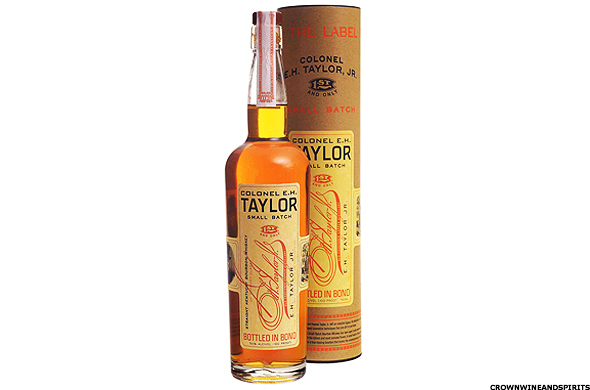 This small batch bourbon, which took home the "Gold" award in 2014, is aged inside warehouse Taylor built more than a century ago. IWSC Commentary: Nose has an opening wave of tropical tones where grapefruit features with other citrus aromas. Some dried fruit emerges along with nuts, cocoa and oak. Assertive entry into the mouth with great surge of flavors where corn and oak are important followed by sweet spice, vanilla and cinnamon. Well balanced and smooth texture. Graceful flow towards long, sustained finish. Like its 10YO counterpart, the 17YO variety is a past IWSC award winner. It picked up silver medals in 2003 and 2011 and gold medals in 2001, 2012 and 2014. IWSC Commentary: Nose opens with array of nutty notes with pecan and roasted almond backed by hint of anise. Some soft brown sugar leads into a distinct treacle character. Lots of ripe berry fruit as well as some tropical tones with mango and banana. Smooth flow in very mellow mouth. All components in fine balance. Long, well modulated finish. Did your favorite bourbon make the list? Let us know in the comments.